Simply put, It's God's responsibility to give you your purpose. It is your responsibility to have vision. Vision is what drives you to do extra ordinary things, if you don't have any, you are in trouble. It is like a compass on the ocean of life, it shows you your way to the top. With the knowledge of your purpose, you must visualise your future. For instance, in 5 or 10years time, what can you see yourself becoming, what do you want to achieve, where did you want to be? You must look forward to something! All this will be your side motivator, it will be your driver. If you don't have vision, you can't move forward and when you are not moving forward which direction are you moving? 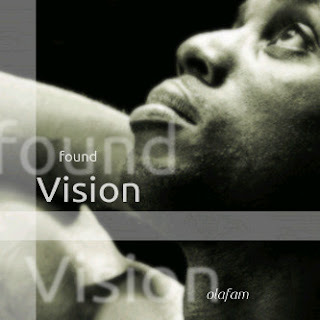 Without vision, God's gift in you will degenerate, soon you will become empty. You can't rise above your perception - if you don't see it, you can't be it. Finally, your vision must be centred on God. He is the author and the finisher of your faith. He blesses the works of your hand when He sees your positive desires and taste. So today, start looking forward, look ahead to 5, 10 or more years, document what you see or where you see yourself, go through it every-time you are weary, it will encourage you. Your Vision and passion can take you off limits; it will help you to live your life to the full. Good piece here bro..... Gone thru others as well. they are great. I hope u re seeing ur self at the top just like am seeing... You re becoming an inspiration already. This part 'it's God's responsibility to give you your purpose. It is your responsibility to have vision' inspires me I must confess! Keep it up bro. More Wisdom!